A fine place situated in one of the famous areas in Mumbai with warm and cozy appearing rooms. Hotel Pearls BKC Inn is a fine place to stay at when is visiting Mumbai. 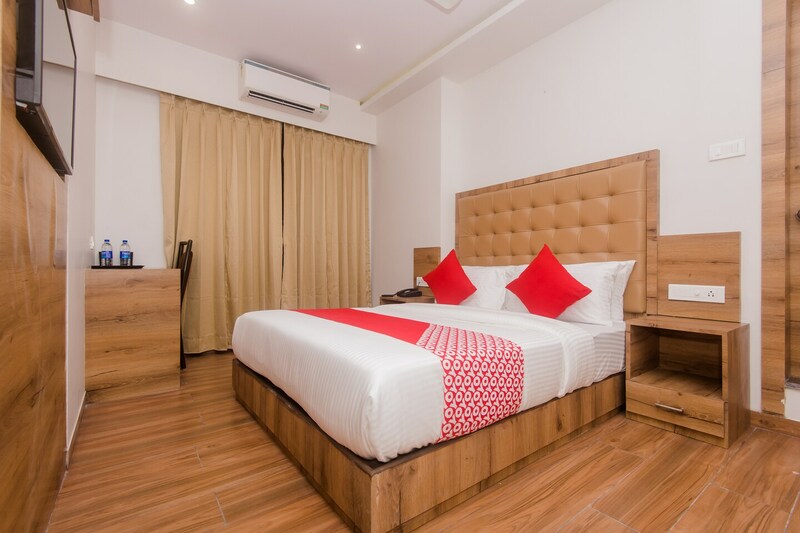 The bedrooms at the hotel have light colored walls and light wood furnishings with soft glowing overhead lights that give the rooms a comfortable and relaxing ambience.the flowy curtains and the matching cushioned headboards add to the elegance of the room. The bright cushions make the space vibrant and lively. The bathrooms feel fresh and are equipped with basic amenities. The corridors in the hotel are well-lit and appealing to the guests. The hotel provides its guests with free Wi-Fi so that they can remain in contact with the rest of the social world. The hotel also encourages its guests to go cashless with its card payment option.